Este confortable de dos dormitorios un baño de casa es aproximadamente una hora y media cuadra a pie hasta la playa. Abrir la cocina - comedor - sala para dar cabida a todas sus necesidades mientras estaba de vacaciones en la playa de Dillon. Cubierta fuera de la entrada delantera con propano barbacoa. TV se encuentra en la sala de estar y se proporciona conexión Wi-Fi. Si usted está en el surf o montar en bicicleta hay una zona de patio privado en el patio trasero para almacenar sus tablas de surf de bicicletas. Aparcamiento en la calle en frente de la casa. Still waiting for my security deposit to be returned. We are confused with your statement about your security deposit. It shows on our end that it was credited back to you on 3-16-19 per our reservation contract agreement. If you are not in receipt of your security deposit please contact VRBO directly they handle all of the payment processing. Please contact us directly if we can be of any assistance. Loved this house. Great views! No dust pan, needs new broom and the couch could use replacing. Will book again for sure! Thank you for your review we appreciate it. We will make sure that there is a dust pan and broom placed in the home and we "thank you" for the suggestion, We used to have one there not sure what has happened to it. We do look forward to having you all back again! This cute place is a great home, in a great location, and we will continue to come back. thank you for your review for Resort 61 we appreciate it. We are delighted to find out that you enjoyed your stay and we look forward to having you back again! Four days at the beach!! Ocean views, Dillon Beach is the best beach for your canine companion. 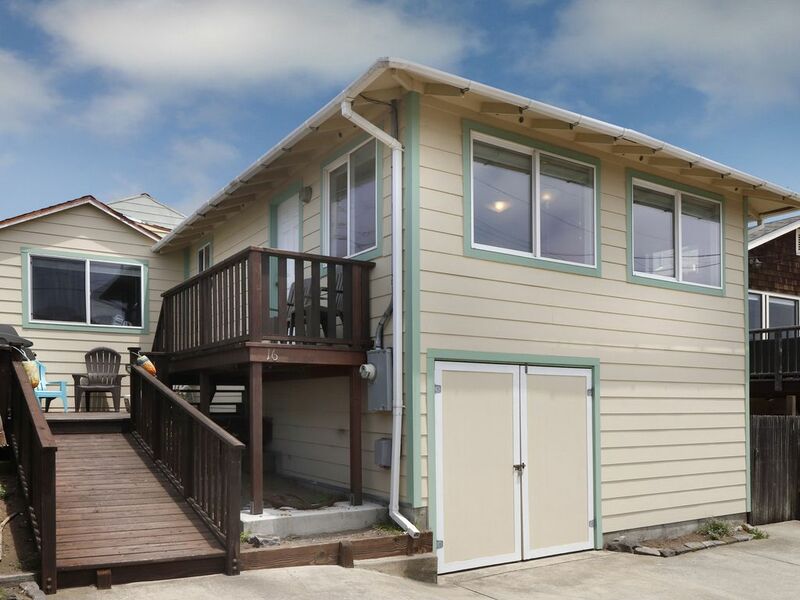 House is short 5 minute walk from beach. Cozy, and comfortable!! Very comfortable bed, slept like a baby. Light and airy space, nice porch for sunning. We enjoyed our stay very much. thank you for taking the time to write a review for Resort 61 we appreciate it. We are delighted to find out that you enjoyed your stay and we hope you will consider staying with us again! Very convenient location. House has essentialls and beds are comfortable. Recommend for families or friend get togethers. Thank you for taking the time to write a review for Resort 61 we appreciate it. We are delighted to find out that you and your family enjoyed your stay in the home and we hope you will stay with us again! Refunds: Conditions beyond our control such as; road conditions, power outage, weather / storms, TV outage, hot tub issues or guest emergencies do not constitute a basis for refunds. Reservation will be confirmed once reservation contract is signed. Reservation contract will be sent to you through Docusign, on line electronic signatures.